A very practical and grounded approach to our customized training delivery has created a strong loyalty amongst our clients. Participants feel inspired by the learning experience and readily comprehend how they can relate their learning back into their roles. 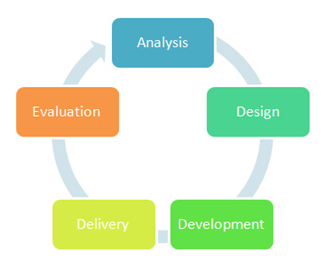 Our customization process: Analyze, Design, Develop, Deliver and Evaluate ensures the fulfilment of your business learning objectives. Our trainers & consultants give you end-to-end support through-out the process. We start by diagnostic sessions to assess your team’s specific learning needs. We analyze your requirements and develop a training proposal that is reviewed and approved by your organization. 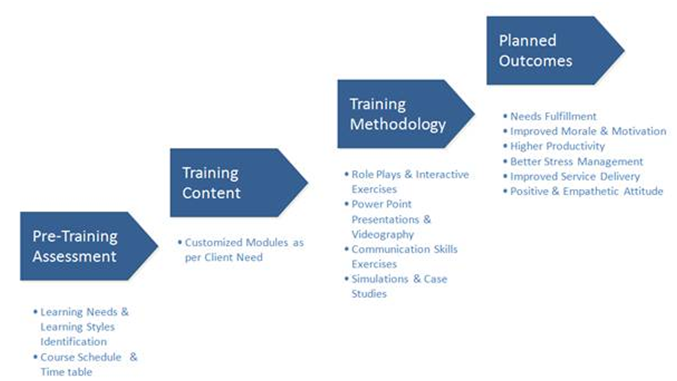 Then, we design the training program that fulfils your needs. This design will include course/program proposed objectives, structure, outlines and duration. In addition, course agenda could include company-specific case studies and activities aiming at achieving business solutions. Upon receiving the approval on the design, we develop the program’s training material. Material includes participant manual, training application workshops, case studies, games, role plays, problem-solving exercises and group projects. We focus on hands-on approach that enables participants to acquire skills that are directly translated to individual/group achievements contributing to significant business results. Our training is always a unique mix of experience, enjoyment and innovation. Our trainers are seasoned practitioners with well-recognized academic and professional credentials. They bring their expertise to the learning environment guaranteeing that all trainings are productive and great learning experience. Finally, upon completing the program, we shall evaluate and assess the learners’ experience to ensure that the program has fulfilled their needs and met your expectations and helps you draw insights for future course of action. A full master set of materials. Our primary focus has been Learning & Development since our inception. Our distinguished client list is a testimony to the value we bring in this area. A pool of dedicated on-board trainers has been the core strength of our business model. The trainers are professionals, matured, and qualified and have been general management practitioners before becoming trainers. They are selected after a rigorous selection procedure. We have the capability to deliver training in any part of the globe.